It's the end of an era for the big-screen boxing legend. Brace yourselves, Rocky Balboa fans! The legend is officially retiring from the big-screen ring. 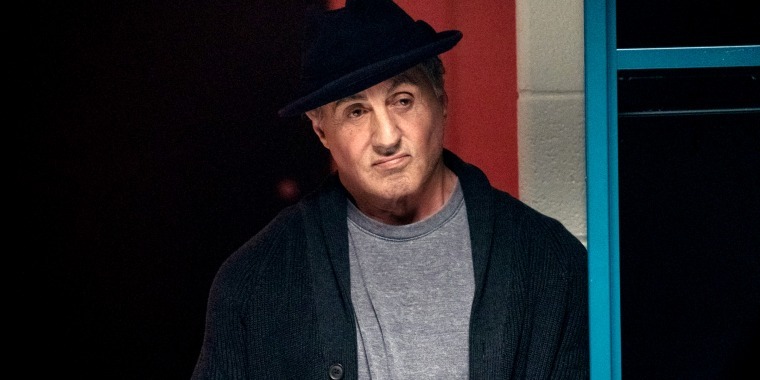 After more than 40 years and eight movies, Sylvester Stallone has announced that his days playing the club fighter who went on to become the heavyweight champion of the world — and later the ultimate trainer — are finally over. In a clip he shared on Instagram Wednesday, the actor and "Rocky" creator referred to his latest reprisal of the role — in the recently released "Creed II" — as his "last rodeo." "I thought Rocky was over in 2006, and I was very happy with that," the 72-year-old said in the video. Then, gesturing off-camera to his "Creed" co-star Michael B. Jordan, he continued, "All of the sudden this young man presented himself, and the whole story changed. It went on to a new generation — new problems, new adventures." "I couldn't be happier," he added. "Because, as I step back, as my story has been told, there's a whole new world that's going to be opening up for the audience, for this generation." He then pulled Jordan into the frame, clasped hands with the 31-year-old and raised their fists up together to celebrate the new box-office champ. "Now you have to carry the mantel," he said. In a caption that accompanied the clip, Stallone addressed his fans directly. "It’s been my Ultimate privilege to have been able to create and play this meaningful character," he wrote. "Though it breaks my heart, sadly all things must pass ... and end. I love you kind and generous people, and the most wonderful thing of all, is that ROCKY will never die because he lives on in you ...."
And he lives on in Stallone's impressive cinematic legacy — a legacy that almost never happened. During a visit to TODAY in 2016, he explained that Hollywood honchos never wanted him to play the role to begin with. They wanted a star at the time, like Burt Reynolds, James Caan or Ryan O'Neal. "They wanted every celebrated actor at the time," Stallone said. "And big-name directors, when they found out I wanted to be involved, they scattered, ran for the hills." But he had an ace up his boxing glove. The film everyone wanted to make in 1976 had been written by him in 1975, so he owned the rights to the whole story — leverage that meant it couldn't be made without him. Today, as he bids goodbye to Balboa, it's hard to imagine any other star bringing the enduring character to life.